Hiring the right veteran for the right job is hard. COMMIT provides the training and education to create the corporate culture necessary for successful hiring of top tier servicemembers and veterans. Mobilizing well-intentioned veteran support into deliberate and intentional veteran hiring is beneficial to a corporation’s bottom line and an opportunity to reinvest in high performing servicemembers. It is at the core of how COMMIT enables corporate partners to reframe and reinvent their veteran initiative programs. Demonstrate how to effectively identify, recruit, hire, and retain high-performing veteran talent in order to improve business outcomes. Provide training and tools to transform corporate culture from Veteran-Friendly to Veteran-Ready. Develop a Veteran Hiring Playbook tailored specifically to the corporations with whom we partner. As a veteran entrepreneur, it was a great opportunity to meet the leaders of one of the best venture capital firms in the world during the program! Forged over the past decade through working with hundreds of high value servicemembers and veterans, COMMIT uses a five step process that speaks to the needs of an organization; a process that attracts, hires, and ultimately retains the best veteran talent for our partners. COMMIT works with corporate leadership and hiring professionals to conduct an intense deep-dive into the corporations and companies with whom we partner. A custom tailored, leave-behind tool that becomes part of your corporate culture, allowing your hiring professionals to be well-equipped and confident about hiring and retaining veteran talent. COMMIT works both off-site and on-site in partnership with the companies we educate, with the intention of making long-term significant impact across Corporate America. 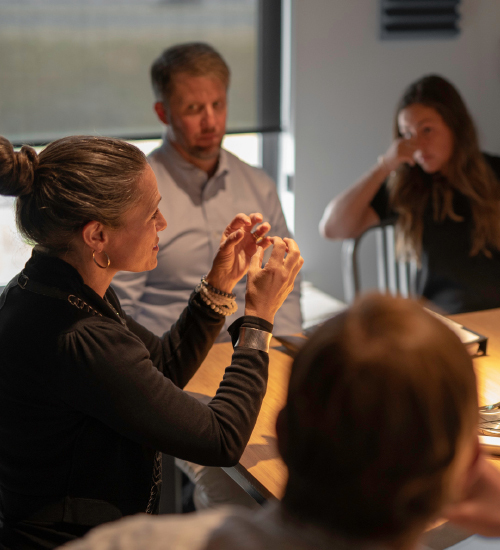 Once a company has partnered with COMMIT, they will also benefit from access to COMMIT’s Digital Library for continued learning and veteran hiring guidance and insights. Prior to participating in the COMMIT Foundation program I often experienced great levels of anxiety and stress. This event provided a very clear, succinct method to re-evaluate and prioritize what is truly important to me when considering career transition. True to our name, we are committed to making long-term, significant impact in changing the way Corporate America thinks about hiring and retaining veteran talent. COMMIT has a proven track record of impacting corporate veteran education programs, creating strategic initiatives to improve veteran talent pipelines, programming, and resources.